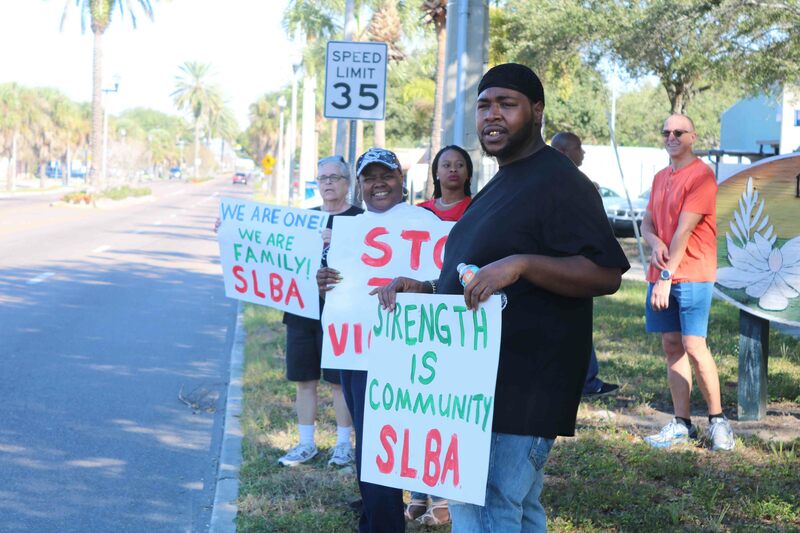 ST PETERSBURG — The Saturday after Thanksgiving, a group of community members more concerned about the recent wave of violence in St. Pete than walking off the extra holiday pounds took to the streets to raise an alarm. Mothers Against Senseless Killings (M.A.S.K.) 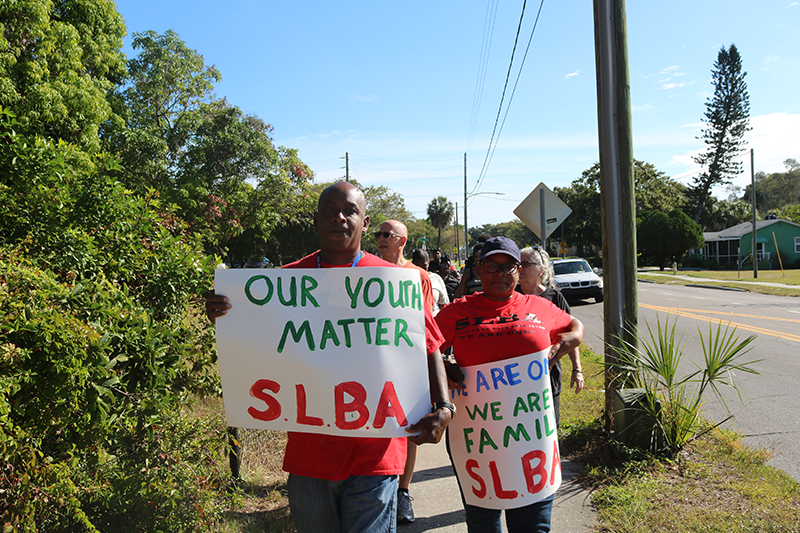 teamed up with the Silver Lake Boys Associated (SLBA) to lead marchers from the Enoch Davis Center down 18th Avenue South to 15th Street South, taking a route that led them past the Bethel Heights Apartments — a development plagued by violence — before returning to Enoch Davis. M.A.S.K founder Altamease Caldwell said concern for the safety of youth, including her own two sons, inspired her to do more. 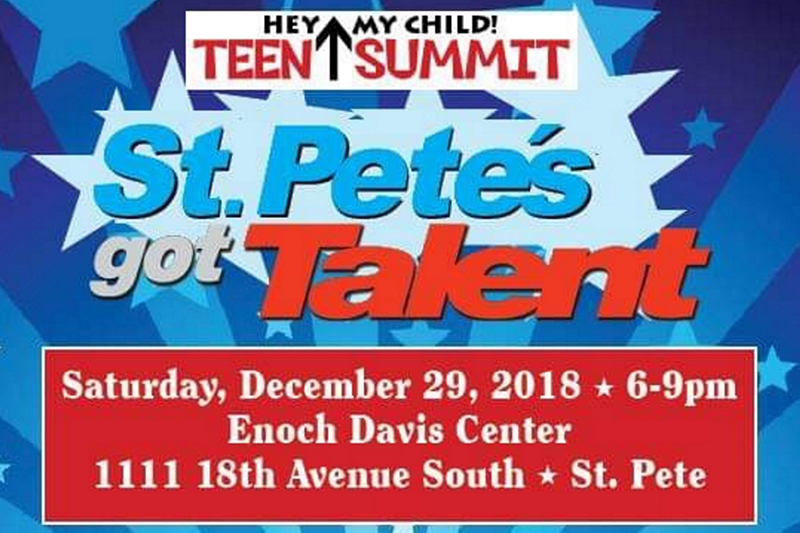 Fighting the ongoing violence is part of the impetus behind her initiative “Hey My Children” Teen Summit–a quarterly event at the Enoch Davis Center that brings youth together with community speakers, and provides free food, gifts, music and fun with a message. Hey My Children Teen Summit often features those who have experienced the hardness of the streets, including former drug dealers and family members of those who died from violence. One of those mothers, Latosha Waters, was also walking with M.A.S.K. “These kids are killing each other, and they’re taking our kids way too early–before they can do anything with their life. My son was killed July 4, 2015, when his friend shot him senselessly,” Waters spoke quietly. 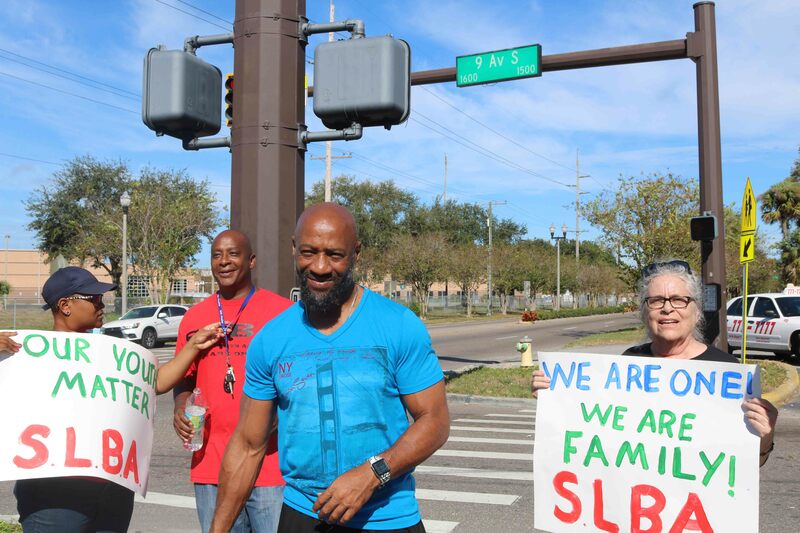 SLBA’s James Swain shared their motivation for the march. “We’re sick and tired, and we’re taking a stance,” he stated. 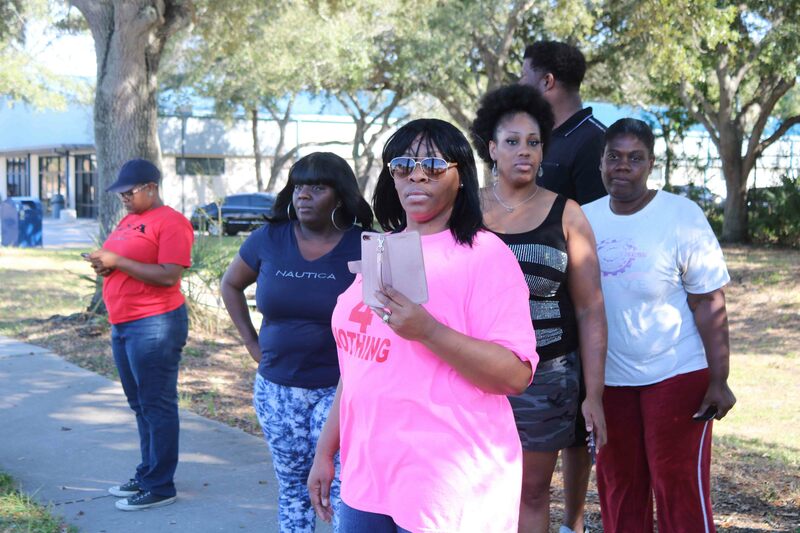 “It just seems like violence and misfortune is on the rise, and we’re just trying to bring awareness to the community,” Swain remarked, noting the death of mother of five Aesha Kendrick, who was killed when a stray bullet hit her on her porch earlier this month. 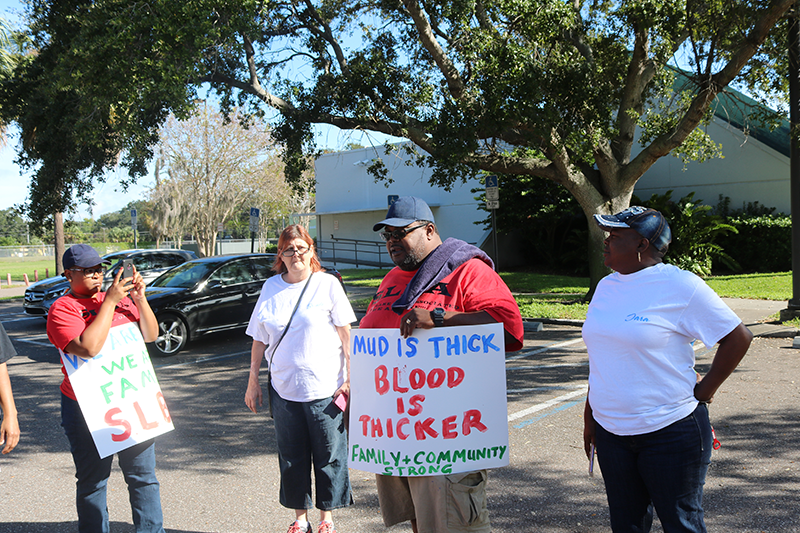 Knight believes the community must go back to a grassroots movement to reach the parents – including knocking on doors. 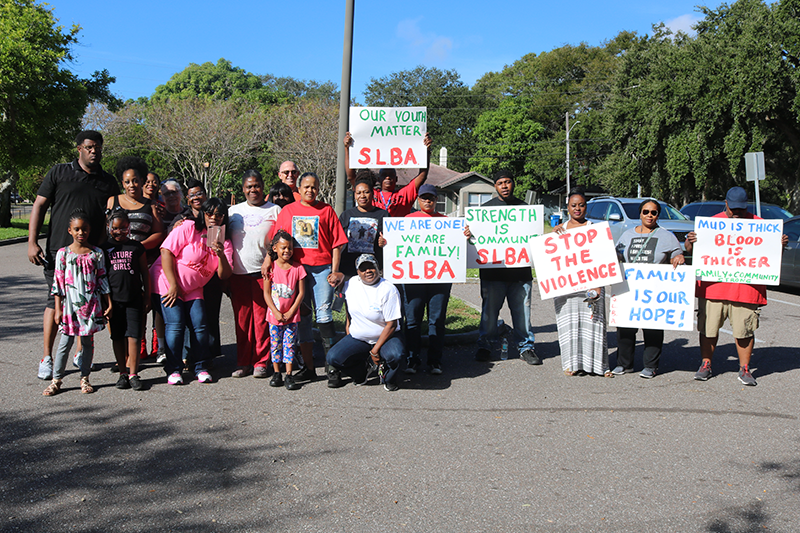 Kelvin Stewart of SBLA spoke of the uptick in violence and the impact on the youth including his own sons. “I think it’s scary to kids. I don’t think they articulate it that way, but they know that that kind of stuff is out there where the behavior and violence can affect them or hurt them,” he acknowledged. “They could be killed because they’re somewhere, and something happens while they’re hanging out with a person, or maybe that person is doing some things that they shouldn’t be doing, and then you end up getting hurt by some collateral stuff,” added Stewart. 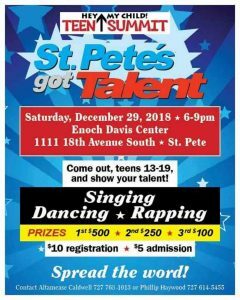 Hey My Children Teen Summit is getting ready for their Dec. 29 event at the Enoch Davis Center, which is billed as a “St. Pete’s Got Talent!” talent show. Participants can look forward to prizes ($500 1st place, $250 2nd place, $100 3rd place), along with speakers and food. 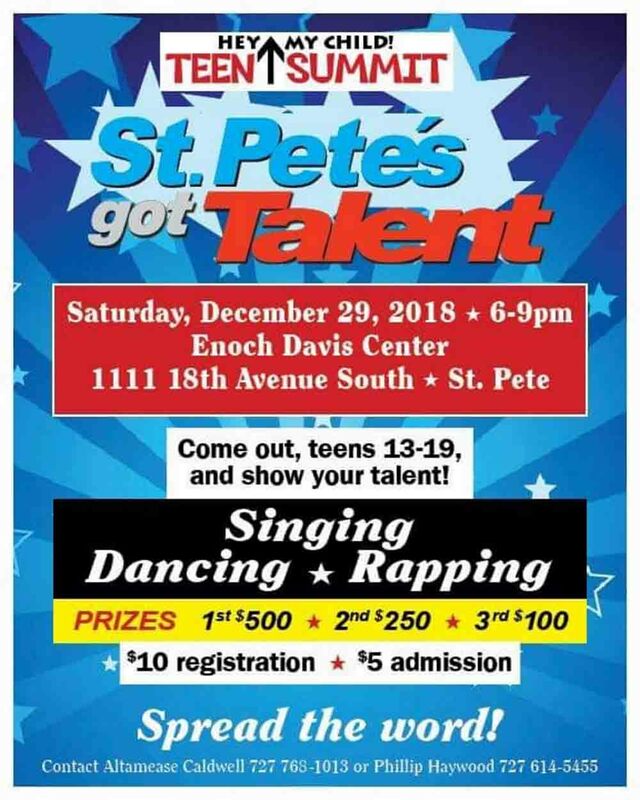 For more information, either call Caldwell at (727) 763-1013 or Phillip Haywood at (727) 614-5455. Click here to visit their Facebook page.